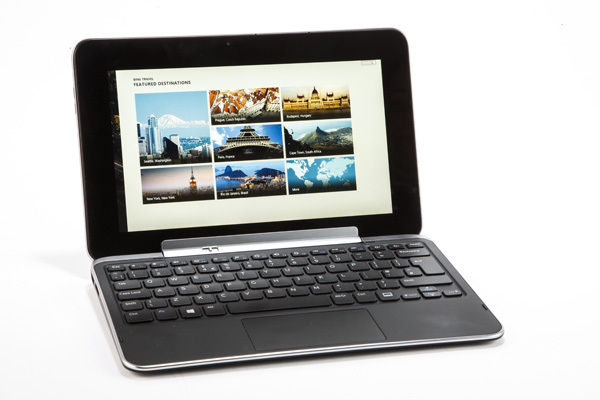 The Dell XPS 10 is an eye catching, nice and soft tablet with an attachable keyboard. Released in December 2012 the tablet is perfect mainly for business users providing all-day productivity. There are some circumstances when as a proud owner of a Dell XPS 10 you`ll have to deal with software related issues that can make your user experience really unpleasant so performing a hard reset can help you in a way that you can`t even imagine. This method is handy if you have problems like unresponsive applications, freezes or any other software errors. One should always keep in mind that this procedure will forever erase all data including photos, contacts, messages and any other information. So don`t forget to do a backup before proceeding. The factory reset will remove the Data and Cache partitions so it doesn`t deal with the System partitions on the phone. At the end of the process all problems must be gone and the animation should be smooth again, all you have to do is carefully follow the methods mentioned bellow. This laptop-tablet runs on Windows RT and has good performance, besides a convenient battery life. The hybrid has performances near a traditional laptop featuring a Qualcomm Snapdragon S4 processor, clocked at 1.5GHz. In terms of image quality, the 10 inch IPS panel with 1,366 x 768 resolution and toughened glass that brings reflections, places it on the level with most of the competition. On the other hand, the viewing angles aren`t as good as expected. Swipe from the right edge of the display to access Charms. From the menu touch Settings. Than go to Change PC settings. Now, go for Refresh your PC without affecting your files. Finaly, touch Next after you read the warning. Please note that Third-party apps will be removed. If refreshing the tablet hybrid does not fix the issues you can also try resetting the Dell XPS 10, a process which will reinstall the operating system on your device returning the tablet to original factory settings. As already mentioned, resetting your tablet erases all data, including your account configuration, music, pictures, files, and so on. Ensure that you back up all the required data before you proceed. Access the Charms menu by swiping from the right edge of the screen,then you should touch Settings. Go to Change PC settings and press General. Touch Reset your PC and start over, then press Get started. Finally, touch Next only after you read the warning.